A ‘vignette’ is a short story, description, account, or episode. It is generally between 800 and 1,000 words in length. The word ‘vignette’ comes from the French word “vigne”, which means “little vine”. In a vignette, one would express a certain moment, mood, aspect, setting, character, or object. Most of all, it should be short, but descriptive. In writing one, use the first second, or third point of view in a vignette. But most vignettes are told in just one point of view, instead of alternating points of view. It is not a full complete story, so no need for inserting backstory or exposition into a vignette. So starting is simple. Select an ancestor, an ancestral location, or event. With an ancestor, it has to be one aspect of their life … not their life story. Then write down or type out on a computer, six headings: Who? What? When? Where? Why? and How? Fill in a word or sentence that answers each heading. In writing a vignette on a specific aspect of an ancestor, do not worry it might be thought of as ‘boring’…you are doing this vignette to preserve about that person, even if it is only one small moment in their life. How to learn about a topic? As you have gone through family photos, interviews, documents, records, letters, and newspaper articles are excellent. Once you had discovered a possible interesting topic, you research further using FamilySearch.org, Ancestry.com, Family History Centers, etc. Remember to keep it to one topic. The following is an example from an old family letter written in 1863 that had been handed down to me. The letter was from a sister to her brother and covered many topics but it was one specific mention that really caught my eye. 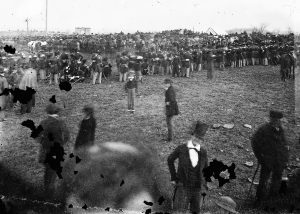 The sister wrote of attending this large ceremony in Gettysburg in November 1863 and seeing her brother on the speakers’ plat board but was unable to approach him due to the crowds. Knowing from earlier research, it had to be the dedication of the Gettysburg Cemetery on Thursday, November 19, 1863, and that a cousin’s only son, Union Pvt Wesley Wagoner had died in a Confederate prison a couple weeks earlier. The father, who lived just 14 miles from Gettysburg, of the fallen soldier had to be that person made reference to in a family letter. Doing any other necessary research, a family history vignette was created. The young soldier, Union Pvt. Wesley Wagoner of Pennsylvania had been captured in July 1863 by the Confederacy and taken to Belle Isle Prison in Richmond, Virginia. Conditions were very poor there, very little food, clean water or medicine and any of the thousands of prisoners. Even those who entered in the prime of life and in good health quickly succumbed to the horrors of this death camp. In early November of 1863, Wesley had a fever and was suffering from a disease. When a prisoner appeared to have no chance of survival he was moved to Richmond. Wesley had been moved November 10th to a hospital in Silkmound, General Hospital #21 in Richmond. He died at the prison hospital of pneumonia and dysentery Sunday morning, November 15, 1863. So many prisoners died each day that their bodies were just put into a common grave by the Confederacy. Wesley’s father from Hanover, PA, extremely heartbroken tried to have his son’s body returned to Hanover but without any success. The dedication of the new Gettysburg Cemetery to those who died there from July 1 to 3, 1863 in the Battle of Gettysburg was held Thursday, November 19, 1863. 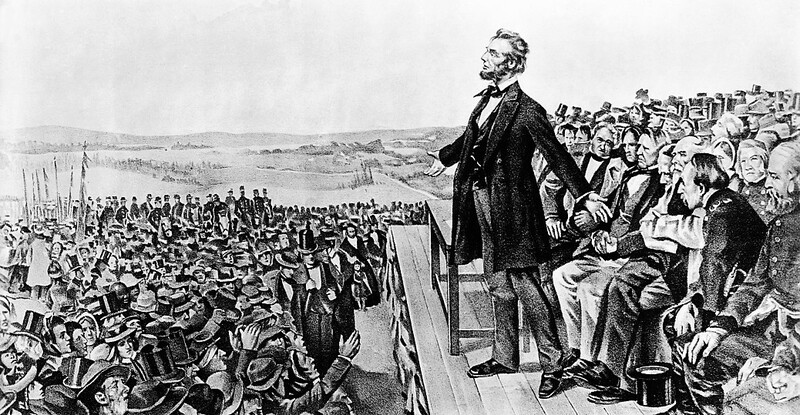 President Abraham Lincoln delivered his now-famous Gettysburg Address speech that day. Gettysburg is just about fourteen miles due west of the town of Hanover, Wagoner‘s home. Many people from surrounding communities attended that ceremony. The Hanover Road was one of the main roads traveled to reach Gettysburg. John G. Wagoner, the grieving father of Wesley, was an eminent merchant in Hanover and with the very recent news of his only son’s death at Belle Isle Prison, he may have felt compelled or even was requested to attend the dedication. John Wagoner not only attended the ceremony but was on the platform stand with many other famous people to hear Lincoln that day. As fate would have it, John G. Wagoner had been so heartbroken over his son’s death, that John died March 18, 1865, in Hanover at the age of 43 years old. This was approximately one month before Lincoln was assassinated by John Wilkes Booth. If John had lived to a ripe old age, his descendants may have had additional stories told by John about his visit that historical day in Gettysburg and his seeing President Abraham Lincoln. 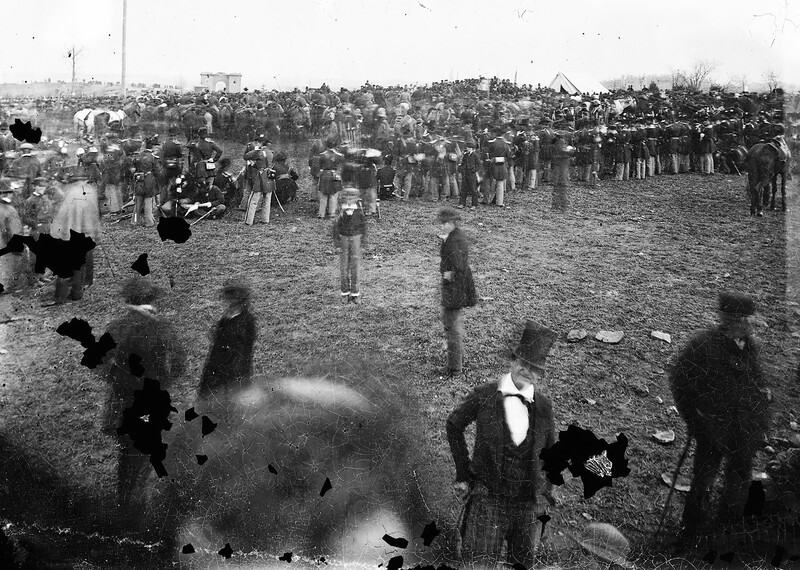 Photos: Gettysburg Dedication Nov. 1863 with those invited guests on the platform.